Superior services anytime of the day. Keeping your business continuously running. Sit back while we take care of this. Require immediate ad-hoc support? Download the attached tool, unzip and execute it. 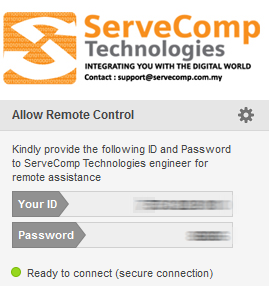 Once the ID and password comes up, contact us! We’ll handle the rest.